The Lexus experience begins with personal service, which is why we have created the Lexus Drivers app—a companion for mobile and tablet devices designed for Lexus owners and enthusiasts. Through Lexus Drivers, you'll have access to a vast array of resources, including how-to videos to better familiarize yourself with your Lexus. You'll also have detailed service information at your fingertips, plus listings of exclusive rewards and events that are available to you as a Lexus owner, such as affiliated hotels, retailers, wineries and much more. The Lexus Drivers app places an incredible amount of convenience in your hands, presented with the same high quality that you've come to expect from Lexus. *See your Lexus dealer or visit lexusdrivers.com for details. Check out the new stories and features. Bug Fixes have been added as well. Drop down and check boxes are not linked correctly. I add service “Miscellaneous Services” then “Air Filter” and “Cabin Air Filter” I added comment and save it. Unfortunately service showed up as “Transfer Case Replacement”. I had to go to personal computer to add service . Which is working correctly. I have also suggestion to add some way of uploading documents from services provided not by Lexus. As jpg or pdf. Unworthy of Lexus. App is embarrassingly terrible. As others have indicated, this app is worse than bad. It does not even pull up correct service info that I painstakingly entered into my account. It is unreliable and makes you wonder how Lexus can even ascertain what services were done and what services are needed. Embarrassing. 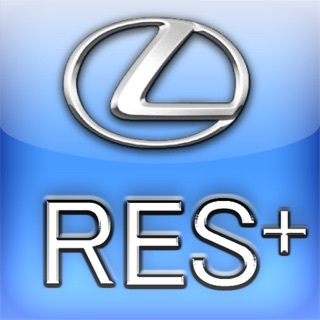 Lexus, a Division of Toyota Motor Sales, U.S.A., Inc.